I just love silhouettes. The vintage, Victorian look is one of my favorites. Modern day silhouettes aren't just formal stuffy Victorian creations. They can be sweet, witty, and down right fun. 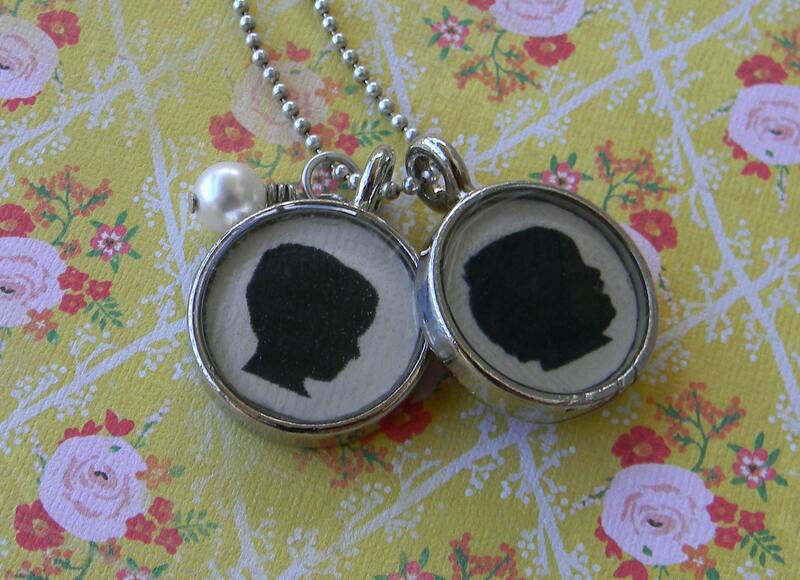 I'd like to make every Sunday, "Silhouette Sunday" here at Stitches n' Scraps. Valentine's day is less than a month away and if you're like me you're struggling for gift ideas. As the very first Silhouette Sunday I've decide to make a silhouette themed gift guide. 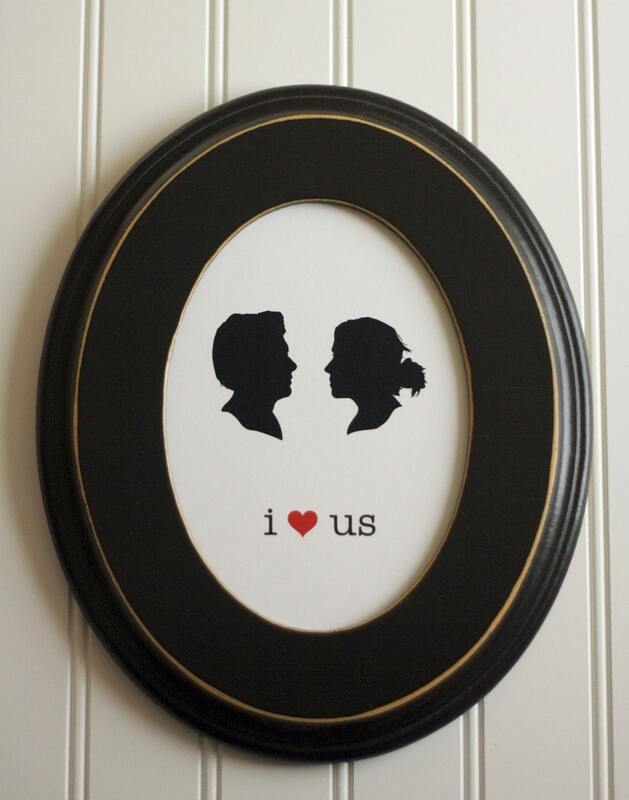 I have been browsing Etsy and have found some beautiful silhouettes that would be perfect for Valentine's day. This beautiful pillow can be found at the shop the LittleRhodyDesignCo. 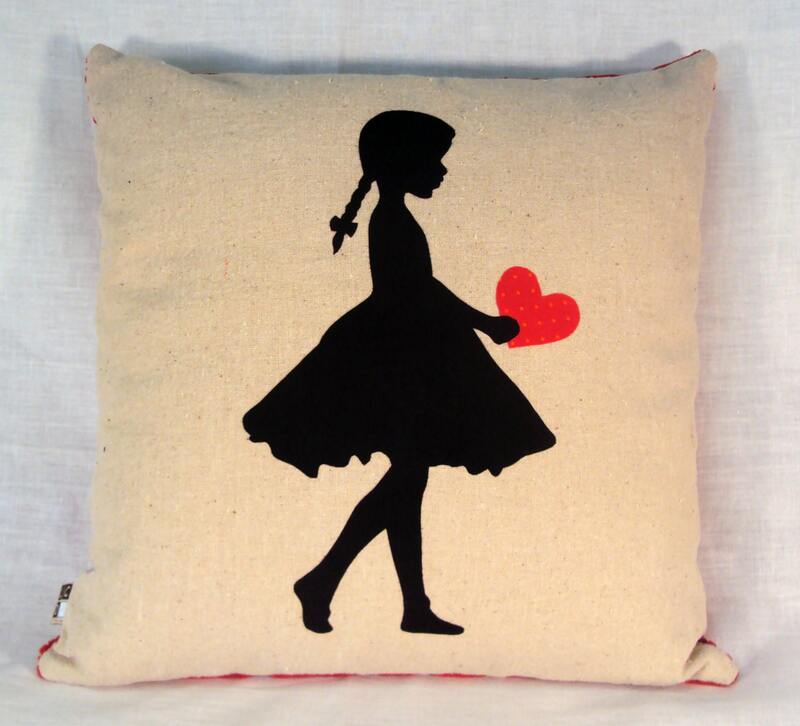 I adore the silhouette look on the neutral flour sack cotton background. So beautiful! The red heart adds the perfect pop of color. If you are searching for a perfect Valentine gift for a new mother or grandmother look at this personalized necklace I found at ImBlessed on Etsy. All you need to do is email a photo of the child and she can turn them into a necklace. I know I'd love one of these with my girls' baby pictures. Looking for a wedding gift or anniversary gift for your significant other? This would look beautiful on a wall in your bedroom or living room. You supply the photos and Silhouetteshop turns them into a work of art. 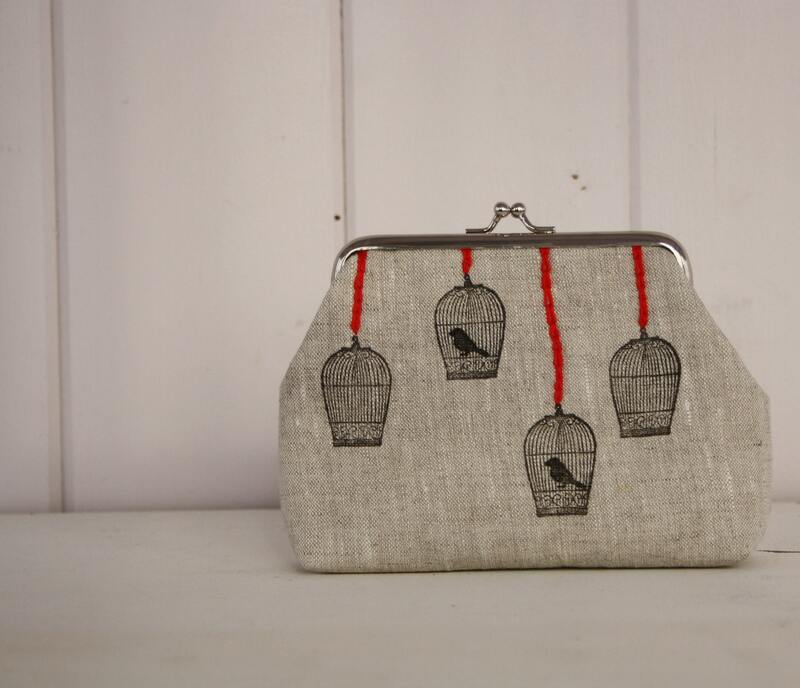 This clutch purse with the bird cage silhouettes is so unique and cute! It is made to order but sure to be a unique Valentine gift. EmenGeeDesigns sells them and other adorable purses in their Etsy shop. Lastly what gift wouldn't be complete without the perfect card? 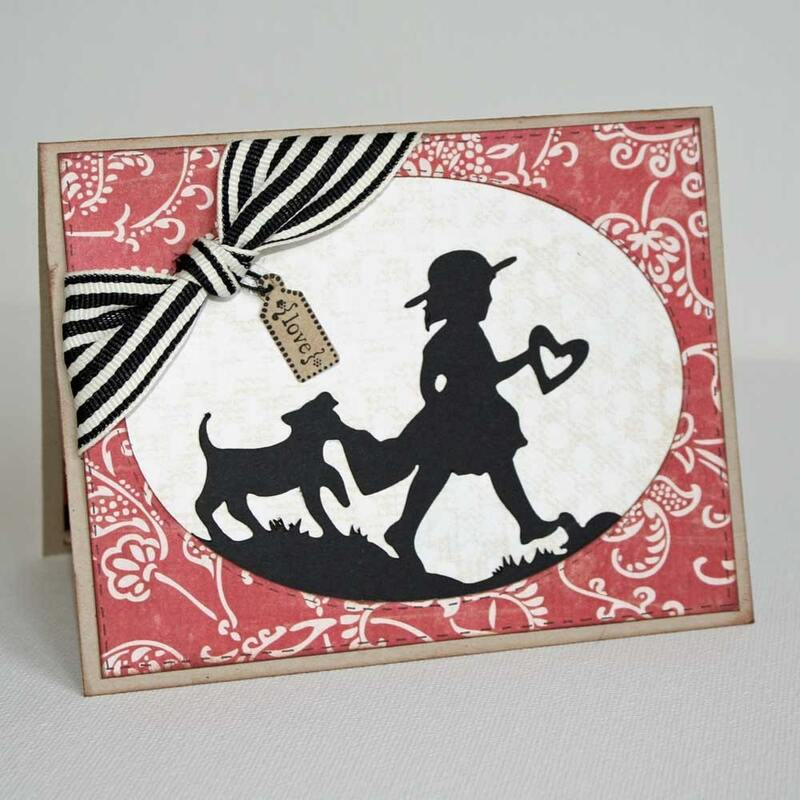 Here is my favorite silhouette card from my own Etsy shop. I'd love to see silhouettes you love. Either creations of your own or those you've found online. Feel free to post a link in the comments of this post. I may just choose it for next Sunday's feature. Great selections. Love the card you made too. I am not really into silhouettes that might change now though. Thanks for the inspiration. What wonderful finds and I think your card is fantastic. Also go to write something on valentine's day purses because it will be very useful as well as informative.